Can you explain to me the Physics of Time when on vacation? While vacationing, time just zooms on by! A week passes in the blink of an eye. Yet, when I return home it feels like I’ve been gone for a month or more. Does this happen to you too? Recently C.J., my husband and I trekked to the Midwest to visit with my family. It was an awesome and fun visit for all of us. We spent 4 nights in Wisconsin and 5 nights at my parents’ place in Illinois. It felt like we were there for 3, maybe 4 nights total. Yet, we returned home last night and today it feels like I’ve been gone from here for a month. Why can’t it be the other way around? I mean, that would make more sense, right? If you haven’t heard yet, I am a Green Bay Packers Fan! Have been since I was about 10 years old (that I remember). Maybe I was before then, but I know I have been since then. The reason(s) for my becoming a Packers fan in the midst of a family and community full of Bears fans was multi-fold. 1) My favorite color is Green; my school colors were green and white; I’ve adored the color green ever since I was learning how to form memories. 2) There were a few family members that were such Green Bay haters that it made me want to play the devil’s advocate, because it’s really not that big a deal and not worth it to get so worked up over a football game; but it was so fun to watch them do so! 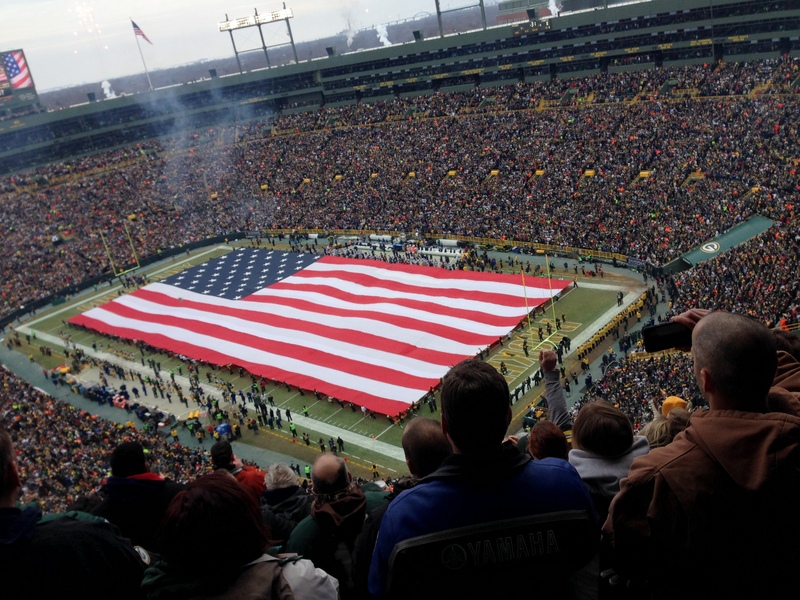 3) I learned that the Packers were publicly owned; what an awesome show of support for any team! 4) One of my mentors as a young adult was a Green Bay fan, so I’m sure there was some influence there as well. Or did he turn out to be such a great mentor for me because I liked Green Bay so much? Who knows. 5) My parents are awesome and allowed me to be myself. I still succumbed to many teenage influences, but somehow managed to eventually learn the lesson to be myself and stand up for what I want and believe in. And when it came to Professional Football, I believed in the Green Bay Packers! A family friend, Rosemary, that happens to be a Season Ticket holder for the Green Bay Packers posted on FaceBook that she had 2 playoff tickets available for the Green Bay vs. Dallas game on 1/11/15. I replied with a “OMG I wish!! !” Some silly banter took place from her original post (like, “Get a flight! I will pick you up!”) to my final “I’ll take them” message. What it boiled down to was, when am I ever going to have another opportunity to see an AT HOME playoff game for my team? I promptly jumped onto expedia to find out airfare estimates before I made the deal final. It was doable. I finagled an extra day off from work, made some quick travel plans and before I knew it, I was on a plane to Milwaukee en route to Green Bay. Part of my brain was thinking “what the heck are you doing? !” but the smarter part of my brain was quick to put that “other” part into a choke hold until it passed out and died. Saturday January 10th rolled around. I had to work that morning, then my handsome man Chris (a Bears fan) picked me up and accompanied me the rest of the way to Green Bay! Our flight got into Milwaukee around 7PM. By the time we got our rental car it was close to 8PM and we had about an hour’s drive to Lake Geneva, WI to meet with Rosemary to get our tickets, and we planned on crashing there for the night. Lake Geneva is only about 10 miles from my hometown, but my parents already had plans to be out of town that weekend. That kind of stunk that I’d be so close to my childhood home and not be able to visit with my family! But, my little sister and her daughter met up with us at Rosemary’s home, so it was nice to be able to catch up with them for a short time. We stayed up much too late visiting with my sister, and Rosemary and her husband, but it was well worth it! 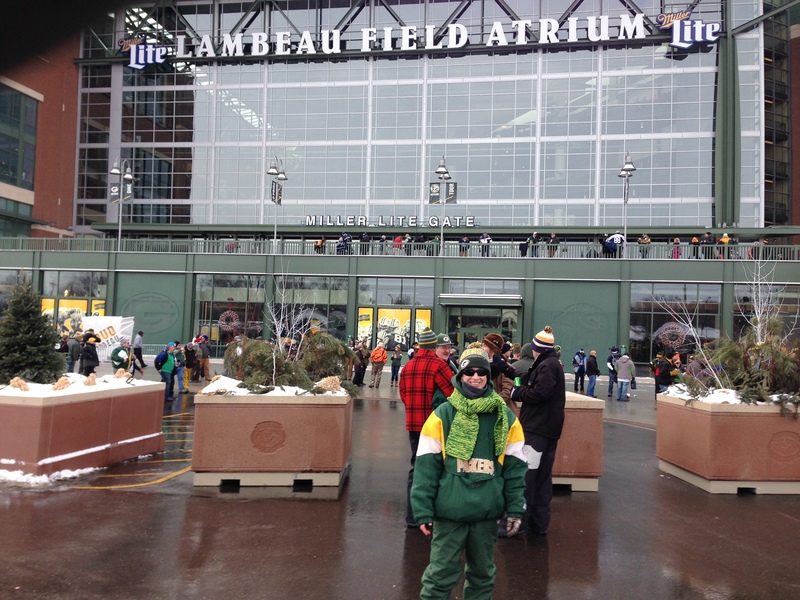 The following morning, I had no problems waking because I was pretty excited about what I was about to experience…an NFL PLAYOFF GAME in GREEN BAY at LAMBEAU FIELD!!! The only thing that could possibly be any better would be attending a SuperBowl game with Green Bay being the NFC representative. Maybe that will happen one day, who knows. But, for now, this is the best it could possibly get for me! And what better way to experience Lambeau for the first time than this; 1) a playoff game 2) in January! The high was supposed to get up to 23 degrees that day. (Yes, I grew up in the midwest, but that doesn’t necessarily mean that I can tolerate cold temperatures. I lived in the Mojave Desert for 8 years and then on the Eastern Shore of VA for 6 year prior to this visit to Green Bay. Therefore, any midwestern acclimation was long gone!) Rosemary set me up with plenty of layers to keep me comfortable in the cold. And the best part was all of those layers displayed Packers loyalty! 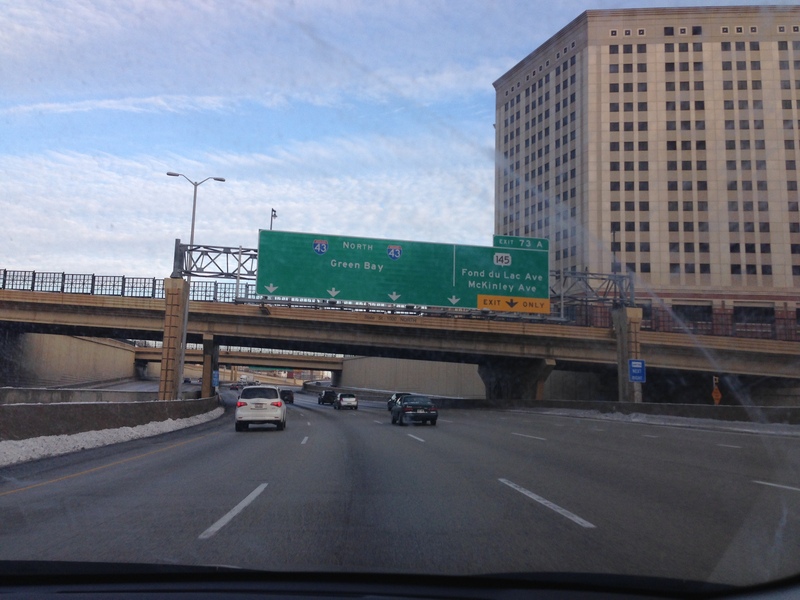 The drive from Lake Geneva to Green Bay was about 3 hours. It felt like it took an eternity, but we arrived unharmed and with plenty of time before kickoff to be able to explore the stadium. What a place! We visited the Pro Shop and I, of course, had to get a memento (a t-shirt and a few things of lip balm because I forgot mine in the car). Our seats were great, providing a bird’s-eye view of the entire field. It was simply awesome. Just before kickoff! Ready for the game to begin! You can visit NFL highlights to see what all ensued at that game on 1/11/15, but the Packers beat the Cowboys 26-21! It was the most awesome, spur-of-the-moment, whirlwind trip ever and I’d be happy to do it all again!